People give so much grief when it comes to open plan offices. 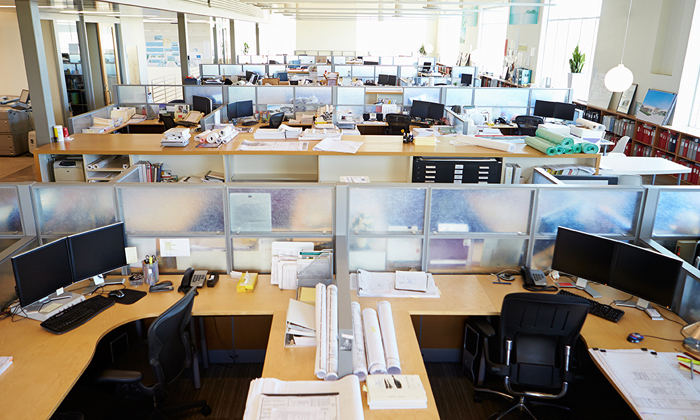 Last year, a study by the University of Sydney found 49% of employees working in an open plan office are dissatisfied with their working conditions. A separate Cornell University report recently revealed employees exposed to three hours of low-intensity noise in an open office had an increase in adrenaline, which in turn raised their stress levels. And with another study by Michigan State University stating even a 2.8-second distraction can really impact your concentration, it seems like the odds are against open plan offices. But all that said, I have to say I’m a huge fan of open plan offices. Back during my internship with the Singapore Youth Olympic Games Organising Committee, I was comfortably placed in a corner cube by a large window (prime real estate!) completely free of distraction. I had the ability to work in peace. On paper, it was the perfect workspace. In all honesty though, I hated working in a cube. The privacy meant little interaction with the rest of the team, which didn’t sit well with me. I will admit my current open plan office with Human Resources can get a bit distracting, particularly when I’m on deadline or rushing to finish a piece, but I maintain the trade offs are worth it. Even though the company encourages us to communicate via Skype with each other, I’m more inclined towards face-to-face conversations, especially with my direct team sitting around me. Having nothing but a 14-inch partition between my colleagues and myself makes it much easier to lean over for a discussion or more likely, a laugh. Working in an industry where team discussions are necessary, the absence of walls or cubes makes it much easier for us to collaborate, exchange ideas or serve as a human thesaurus for one another. Several times a day or week when I am writing bigger pieces, I’ll need large pockets of time where I am not disturbed. When this happens, I’ve found the easiest way to gain some quiet time is to simply tell your team around you to hold your calls or not speak to you for the next two or three hours. Distractions will still happen, but making efforts to keep them at a minimal will go a long way. There have been occasions where I’ve had to make a call in confidence or really, really work in solitude. Many open plan offices, including ours, have meeting rooms or breakout areas to give employees a bit more privacy when needed. Use these rooms when you need to – just make sure your team knows where you are in case they need to urgently get in touch. Third spaces are gaining popularity, and serve as a great alternative for when you need a change of scenery. Head down to a nearby coffee shop, cafe or bookstore and work there if you feel the need to get away from your colleagues (trust me, everyone feels that way at some point). After a while, the noise that comes with being in an open plan office (communal radio, phones going off, never-ending conversations) become white noise. Learn to ignore these distractions, plug into some music to help you work, and embrace the chaos that is an open plan office. Check out how Ramco's global CEO set up innovative strategies and empowered its staff to make them feel truly engaged with their w..
Kuala Lumpur falls 19 places, becoming the 197th costliest city, while Singapore and Hong Kong clinch 18th and 9th place respectiv.. This comes after previous worksite investigations found contractors ignored safety guidelines to meet deadlines before the holiday..